Spring is just around the corner but just imagine the weather that your timber decking has had to face this winter! • Catching hazards early is key to avoiding more costly damage by fixing potential problems, you willl have the advantage of avoiding a much larger problem in the future. • Pressure wash your decking to get rid of the algae and moss that will have built up over the winter. • Ensure you clean the grooves on the boards and the spacing between boards thoroughly. You can do this using a pressure washer or a decking brush together with Decking Cleaner. • Check for cracking - cracks allow moisture to enter into wood. It is this deep-down damage that you need to avoid as that could lead to rot and having to replace individual boards or the joists beneath. If individual deck boards are damaged they should be replaced. • Check for fixings coming loose – nails and/or screws coming loose potentially cause a hazard for people walking over the surface. Check the boards carefully to ensure they are all secure. • Check the joists - the joists, or bearers, are located between the ground and the deck boards. As they are mainly in contact with the ground, even if a membrane is present, joists will rot over time due to rain and damp. Whole joists can need replacing with treated timber. • Warping - your timber decking can warp as a result of stress or uneven shrinkage, which can be caused by weather and foot traffic over time. Once one board starts to warp, the others can follow, so it is beneficial to fix this problem as soon as you see it. Once you have cleaned the deck and repaired the defects, protect your wood as soon as possible using Wood Preserver to prevent further damage. 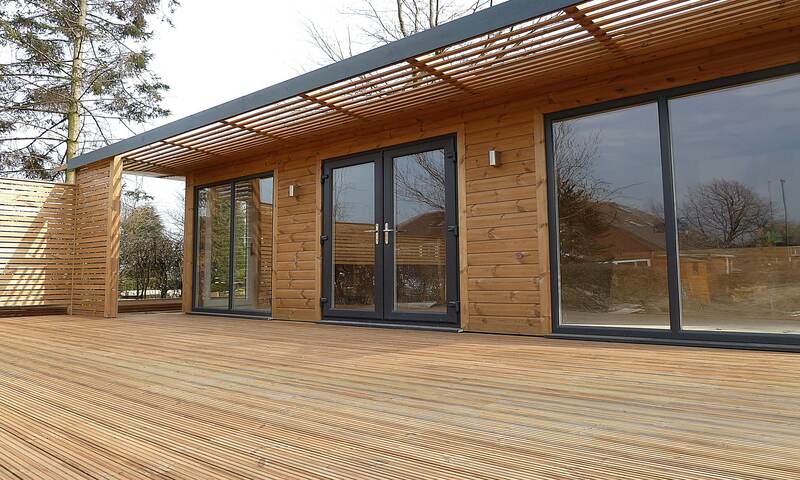 You will then have a revitalised decking allowing you to relax and enjoy the summer! Order your new boards and fixings today call our expert sales team on 01472 350151. Take advantage of our offer of 10% off decking boards and fencing from 8 April to 6 May 2017.